Is your city the next Portlandia? Portland, Ore., has been spoofed as a hipster haven, but in fact, the city has long been ahead of the curve in terms of urban planning. And now the rest of the world wants a part of it. The city created a Bicycle Plan in 1973; turned a freeway into a riverfront park in 1978 and built a light rail (instead of a highway) in 1986. Today, it has the highest percent of bicycle commuters, one of the best urban park systems, and a downtown composed of almost entirely green buildings. "If we have a global brand, it's the green and sustainability of Portland," said Chris Harder, economic development director of the Portland Development Council. So when city officials started brainstorming ways to increase Portland's exports, they looked beyond traditional materials like timber and metal. "Mayors and city officials from around the world would visit and ask how Portland did it," Harder said. "'Why were you able to invest in lightrail years before other cities? How did you encourage dense urban development when other cities were sprawling? Why are you the top of the list in LEED buildings?'" And so We Build Green Cities was born. The PDC initiative started as a marketing opportunity but quickly became a way to leverage Portland's "green" brand into global opportunities for local firms. "We spent a lot of time identifying what markets we should be focused on," said Harder. "We narrowed it down to markets that are rapidly urbanizing or prioritizing smart cities initiatives." They settled on four countries: Japan, Colombia, China and Brazil, all of which Portland already had deep cultural ties with. Conversations with Japanese officials moved the quickest, and in January, three Portland firms -- ZGF Architects, Glumac and Murase Associates -- signed contracts in Kashiwanoha, a city north of Tokyo. 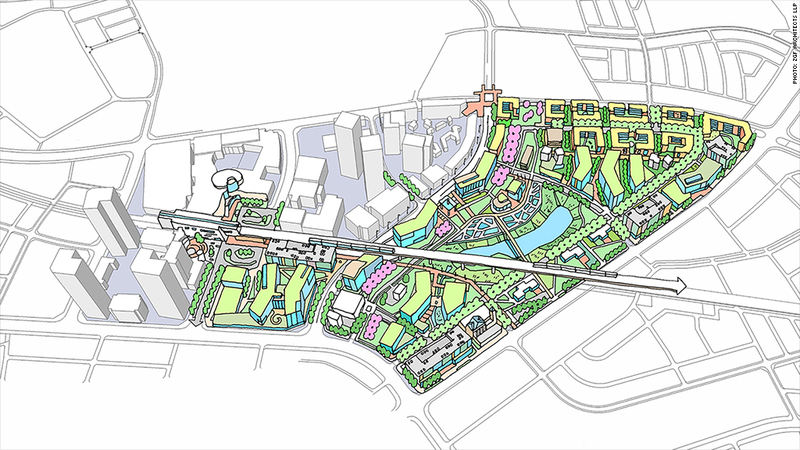 While it's still in the very early stages, the architecture and engineering firms from Portland aim to use their decades of experience to create an "eco-district" in Kashiwanoha. The idea behind an eco-district (of which Portland has several) is that multiple buildings share things like energy, waste and water -- creating a system that is incredibly efficient. "One of the big things that we've worked on is the handling of water," said Jan Willemse, managing director of ZGF. This will make the area more sustainable (think green roofs and ditches to divert stormwater runoff) and will also be used to "activate the public space," according to Scott Murase, designer at Murase. He's been designing similar spaces in Portland for decades -- using water to create areas that people actually want to hang out in. Because the idea behind Kashiwanoha isn't just an efficient suburb: It's creating a city that actually has a sense of place, which Portland is lauded for. "[Kashiwanoha is] a very technologically advanced development," said Craig Briscoe, a designer with Glumac. "But I think the developers looked around and thought that for all its technological advancement, they hadn't really built a neighborhood, they had built a place that people go in the evenings." A big piece of what they'll be looking to fix is the ratio of jobs to residential spaces. In Portland's Pearl District (one of the city's most lauded neighborhoods in terms of design and public space), Willemse said there are about four or five jobs per housing unit. When they first started looking at Kashiwanoha, the ratio was about 1-1. "It's not just about making beautiful spaces," he said. "It's the mix of uses that leads to vibrancy." It's an approach that Portland has mastered. In the city's downtown area, all the blocks are 200 feet by 200 feet -- much smaller than other cities -- which means "you don't have to walk very far to get to the corners," said Kirk Davis, who led Glumac's work in Japan. "And the corners are where the action are." "Portland did some pretty cool stuff in terms of codifying activity between the ground floor and street," Davis continued. "There's a connection as a pedestrian -- you feel invited to get into these spaces." 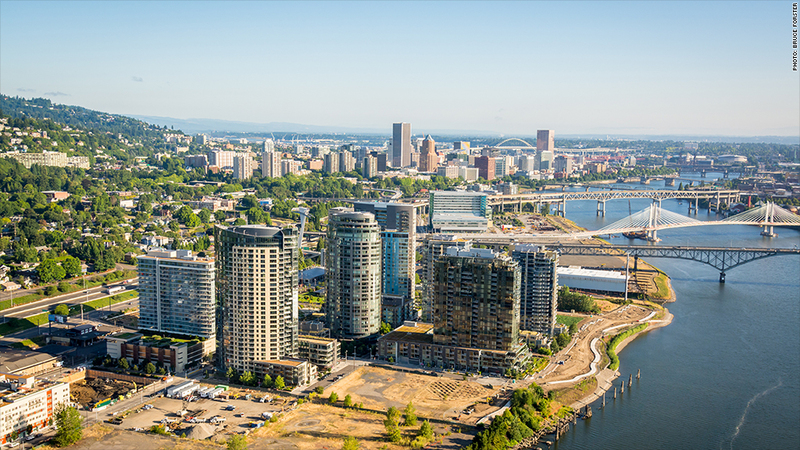 Portland's background with placemaking, craftsmanship and sustainability puts it in a unique position to share its expertise with the world. But Harder thinks it's a lesson that can be applied across the board. "You've got to export who you are," he said. "And this is who we are: Quirky, crunchy, environmental, Portlandia-type philosophy that we've had here for a long time. It used to be who we are as people, now we're leveraging it."